It is currently a really exciting time for the Mexican film industry. It seems like every month there is a new and interesting Mexican film out in the cinemas. This increase in Mexico film productions has a lot to do with a tax incentive implemented in 2006 by Mexican Institute of Cinemas (IMCINE). This incentive means that companies can now give 10% of what they owe in taxes towards the production of a Mexican movie. Filmmakers that are shortlisted by IMCINE can approach companies for funding for up to 90% of their films. Now, the fruits of their labour are popping up all over the place. The thing I like is that it has made space for films from a variety of genres to be made. Although films about the border and the violence in Mexico are abundant, we are now seeing comedies, dramas, romantic comedies etc. that allow Mexico to be seen in a different and new light. A knock on effect of the number of films coming out of Mexico is that Mexican films are now holding their own at film festivals across the world. London, my hometown is host to a whole load of Latin American film festivals, where Mexican films really shine. 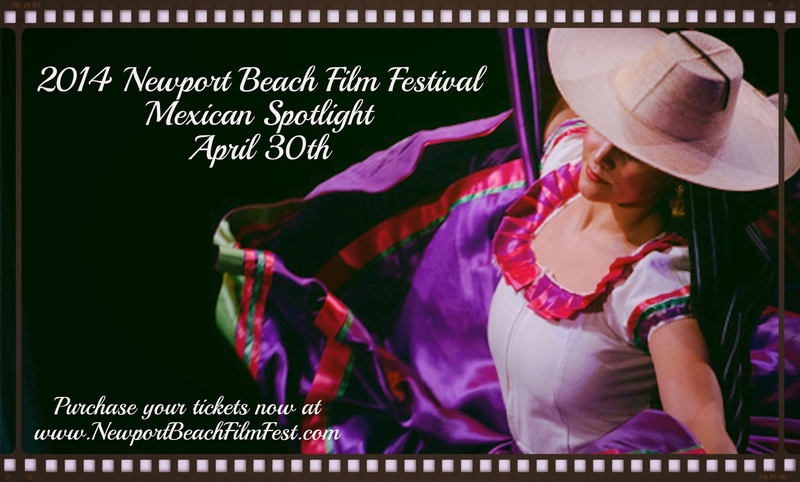 I was excited to hear that an IMCINE funded film will be hitting the screens of the Newport Beach Film Festival’s, Mexico Spotlight this April, and even more excited that the organisers are offering you guys a discount code to attend (scroll down to the final paragraph for the code). The film is called The Amazing Catfish, and was a festival favourite at both the Locarno Film Festival and the International Film Festival Rotterdam. It focuses on Claudia (Ximena Ayala), who after a short stay in hospital is adopted very naturally into the unruly household of her hospital roommate Martha (Lisa Owen). What starts off as a playful, modest friendship within Martha’s hippie family and among her fast-talking daughters quickly becomes a precarious pact in which Claudia doesn´t want to lose her adopted family, and Martha and her daughters equally can´t live without Claudia. The Amazing Catfish is directed by Claudia Sainte-Luce and also stars: Sonia Franco, Wendy Guillen, Andrea Baeza, and Alejandro Ramirez Munoz.